It seems like it wasn't that long ago that Messenger was completely devoid of bots, and the most inhuman thing you would encounter would be a spam account (and if you're interacting with one of those, you deserve to feel uncomfortable). It's something Facebook have been placing a lot of impetus on over the past year, and, as Messenger big boss David Marcus proudly announced in a blog post last week, there are 11,000 of them. If nothing else, it's an impressive growth rate, but quantity is a far cry from quality, and you'd be hard pressed to find anyone (without any kind of vested interest) with a positive account of an exchange with a chatbot. Despite the promises that the bots are meant to learn more as the interaction extends, it still hasn't reached far beyond 'automated response that has a rough idea what you might be on about'. 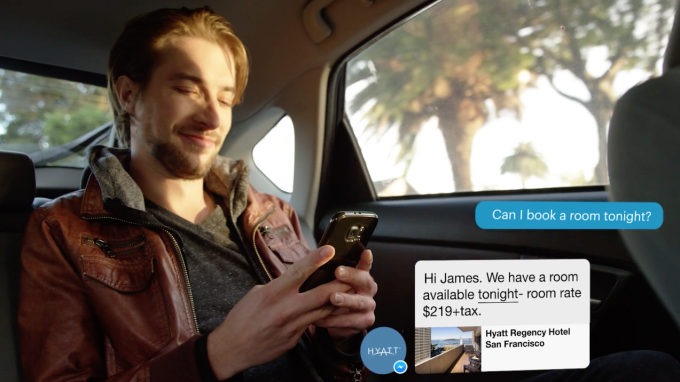 Services like Siri are similarly hamstrung, but even they are leagues ahead of most Messenger bots. Despite this, a further 23,000 developers are on track to create new bots, so in engagement terms, the numbers must be adding up, or Facebook's rhetoric about their value in the future is just that convincing. The latter seems more plausible, as Facebook have been somewhat reluctant to put forward any figures about actual user engagement. I just did a mini-survey of the office, exactly 0% said that they had used a Messenger bot. Our office is quite small, granted, but I'd be willing to bet that most people you ask on the street would say the same. Or just awkwardly pretend they're late for a meeting. Facebook have assured users that the more developers get involved, the better the overall quality will become, as kinks like bad connectivity or generally slow response times are ironed out over time. As an intermediary between you and a real person, you're still always going to be better off talking to a real person if you can, but for understaffed, vitally important services like the emergency line or the up to date weather, bots could eventually prove their worth. Soon enough, a quick replies function with suggested user interactions will be available, as will a 'persistent' command menu so that users don't have to memorise specific prompts. Like apps, the broader the spectrum becomes, the more potential for a better output we'll have. Facebook are probably onto something here, they just have yet to really prove it.